Volume 1 - Best of the Best gathers my favorite singles and choice cuts from most of my favorite albums of 2013. 1. 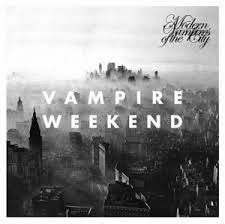 Obvious Bicycle - Vampire Weekend: From the moment I heard those amazing backing vocals, I sensed this song, my favorite from 2013’s best pop-album Modern Vampires Of The City (Strong Recommend), would open this collection. It wasn’t until later, as I focused on the lyrics, that I realized this sad micro-portrait of a struggling New York twenty-something the morning of his eviction marked the second year running I had started these mixes with a song about white economic plight. A sign of the times? Personal fixation? Who knows? For me it really was about those backing vocals. 2. 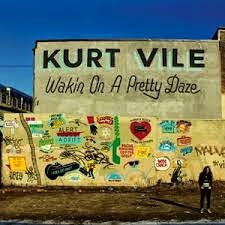 KV Crimes - Kurt Vile: A beneficiary of Nancy’s track poaching, this, the shortest track from Kurt Vile’s long and hazy but wonderfully produced stoner-mantra Wakin’ On Pretty Daze (Solid Recommend) seemed the best replacement for the Yeah Yeah Yeah’s Sacrilege, which was originally slotted here. 3. 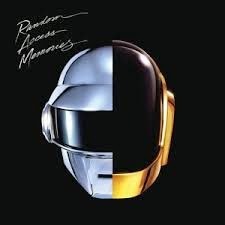 Get Lucky - Daft Punk: Yeah, I know, you’ve heard this track from Daft Punk’s Random Access Memories (Solid Recommend) 1,000 times and you’re sick to death of it. I don’t care. If any throwaway summer dance hit of recent years deserves its fame, it’s this one. As a closet Chic fan, I just never tire of that Niles Rodgers guitar. So you’ll have to listen to it one more time. 4. 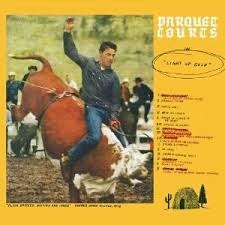 Tears O Plenty - Parquet Courts: My favorite track from my favorite punk album of the year, Parquet Courts often hysterical, Minutemen-flavored Light Up Gold (Highest Recommend). 5. 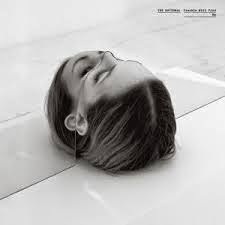 This Is The Last Time - The National: Is this the best track from Trouble Will Find Me (Highest Recommend), my choice for album of the year? I’m not sure, as my favorite track from Trouble changes almost daily. What I do know is that the opening minute of this song, with its killer bass intro, gets me every time. 6. 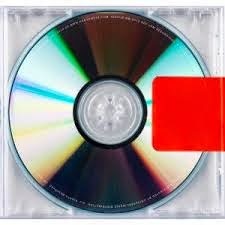 Black Skinhead - Kanye West: I’ve got mixed feelings about Yeezus (Solid Recommend), Kanye’s attempt to bring the in-your-face sonic palette of the Death Grips-inspired industrial rap movement to mainstream hip-hop. On the one hand, I admire his adventurousness and willingness to follow 2010’s brilliant My Beautiful Dark Twisted Fantasy with an intentionally imperfect album, but as with U2’s Pop twenty years ago, I fear this marks the point in a true original’s career where he starts chasing trends rather than initiating them himself. Still, this track, with its fun Gary Glitter sample, is “Kanye, the master beat producer” at his best. 7. 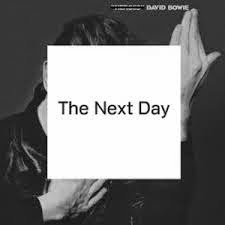 The Stars (Are Out Tonight) - David Bowie: Easily one of my top ten tracks of the year, this ambiguous “one foot in, one foot out” examination of the celebrity bubble from late career effort The Next Day (Solid Recommend) shows David Bowie still capable of delivering those odd but fantastic vocals that have always made him such a unique recording artist. 8. 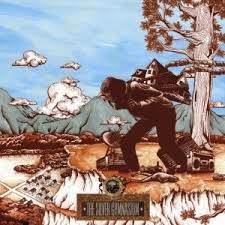 Down Down The Deep River - Okkervil River: God bless Okkervil River. Now deep into their second decade, it has become clear they are one of this era’s American Music Club type acts, consistently near-brilliant, mostly accessible, should-be-huge lifers who, because of a few quirks in their style, will just never enjoy significant commercial success. This song, a Stand By Me-like reflection on bandleader Will Scheff’s childhood in rural New Hampshire from 2013’s warm, 80s nostalgia-drenched The Silver Gymnasium (Solid Recommend), is one of the band’s all-time bests. I hope you like it. They could use a few more fans. 9. 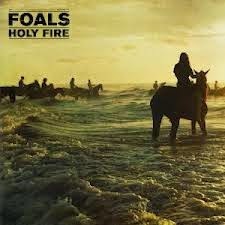 Late Night - Foals: Most of the critical attention for Foal’s latest release Holy Fire (Solid Recommend) focused on its two most divergent cuts, the straight-up pop track My Number, and the bordering-on heavy metal Inhaler (featured on Vol 3 - Earnest), but this slow-burner is my personal favorite. Note for note / sound for sound perfect, it gets my vote for the best produced song of the year. 10. 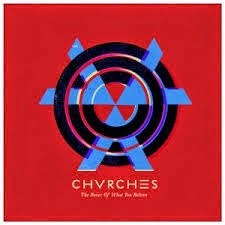 Gun - Chvrches: In a down year for M83/Robin-esque electro-pop, the bright sounding but lyrically downcast Scottish act Chvrches was as good as it got. The Mother We Share (included on Volume 4 - Playful) and Recover were their 2013 debut’s (The Bones Of What You Believe (Solid Recommend)) most popular singles, but for me, when it comes to electro-pop, it’s all about the hooks, and I found Gun to be the catchiest track of them all. 11. 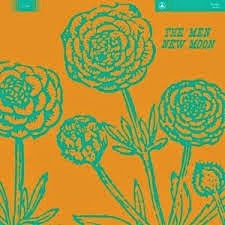 Freaky - The Men: My favorite track from my favorite hard-rock album of the year, The Men’s Crazy Horse-inspired, country-tinged slop-fest New Moon (Solid Recommend). 12. 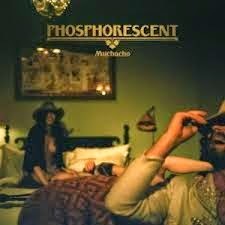 Song For Zula - Phosphorescent: One of the year’s most celebrated songs, and definitely the year’s best rumored to have been inspire by a gorilla, Matthew Houck’s impassioned, no-verse-no-chorus alt-country ballad from Muchacho (Solid Recommend) challenges Johnny Cash’s assertion that “love is a burning ring of fire,” suggesting it instead as a soul-crushing agent of personal entrapment…a “caging” thing as powerful and impervious to will as the metal bars that restrain sad Zula of the song’s title. 13. Kinda Fuzzy - Eels: It’s not a personalized “Best Of” mix until you’ve included that one song no one else would consider, and Kinda Fuzzy from Wonderful, Glorious (Mild Recommend) fills that role for me here, just as Red Kross’s Uglier did in 2012. 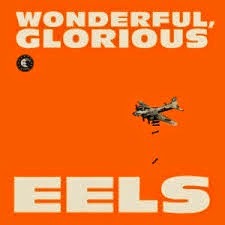 I’ve always loved Eels’ plainspoken, beaten-down but still-in-the-fight persona, and in particular love the escalating, herky-jerky feistiness of this song here. 14. 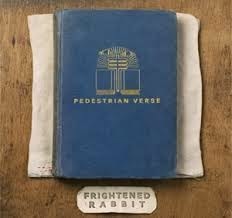 Nitrous Gas - Frightened Rabbit: Frightened Rabbit’s 2013 release Pedestrian Verse (Solid Recommend) was much more a lyrical than a musical accomplishment, but I love the flow and acoustic feel of this tiny Celtic-tinged ballad. 15. 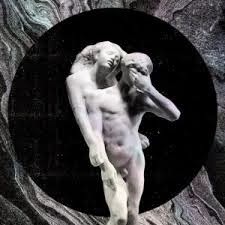 Normal Person - Arcade Fire: One my two fav tracks from Arcade Fire’s uneven but great-in-its-best-moments fourth release Reflektor (Solid Recommend), this Stones-y throwaway captures the sense of jammy, irreverent fun the band was going for this time out better than anything else on the record. 16. 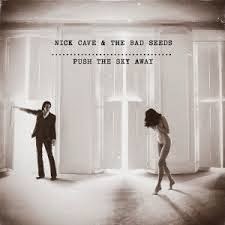 Higgs Boson Blues - Nick Cave & The Bad Seeds: A surreal, fever-dream evocation of late-nights on the road, focused mainly on the sinful, post-gig allure of various American cities, Higgs-Boson Blues is my favorite song of the year. Released just months before “twerk-gate” on 2013’s second best album Push The Sky Away (Highest Recommend), its creepy closing lines of “Miley Cyrus floats in a swimming pool in Toluca Lake / and you’re the best girl I’ve ever had” garnered a lot of attention, and inspired more than one critic, oddly, to label it the most prescient song of 2013 (as if a fifty-plus industry outsider like Cave gives a damn about the direction of pop culture). I…having actually passed Ms. Cyrus outside her home a couple times while on lunchtime walks (I used to work in that Toluca Lake neighborhood), and having seen the surprising number of young starlets Cave attracts to his L.A. Bad Seeds/Grinderman shows…interpret the song’s ending a bit, um, shall we say, less metaphorically. Whether I’m right or not…still the best song of 2013. 17. Relatively Easy - Jason Isbell: 2013 may have been a down year musically, but it was an exceptional year for lyrics. Parquet Courts, The National, Frightened Rabbit, Okkervil River, John Grant, and Vampire Weekend, just to name the obvious, left indelible impressions with their words. 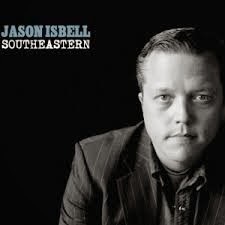 But in the end, no wordsmith was as impressive in 2013 as one-time Drive-By Trucker Jason Isbell on his marvelous singer-songwriter release Southeastern (Strong Recommend), and this track, the album’s moving, “be grateful for what you have” closer, seemed a fine way to end this mix.